A popular review site drives small businesses crazy because they only post a small percentage of the positive reviews that are submitted. Reviews that they think could be fake are pushed into a “not currently recommended” area of their site. We feel that if our customers went to the trouble to write a review, we should let them be posted…. right here. Here are the screen shots of all of our reviews that weren’t “recommended” for 2018, plus two reviews from 2019. They are all real customers! 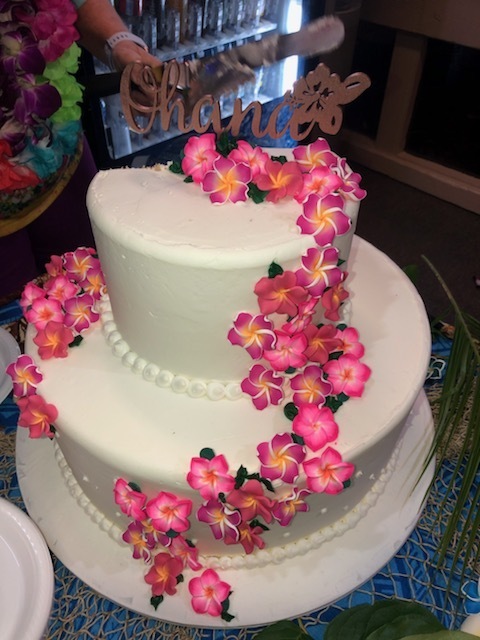 Many people choose Islanders Luau to cater for their loved one’s memorial when their loved one loved the islands. It is an honor for us to be there on this important day for their final aloha. 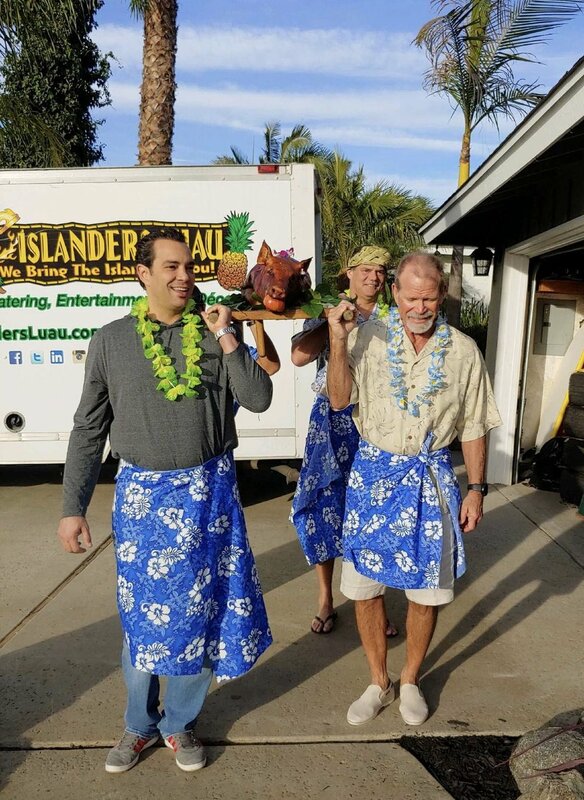 Maril and all the crew at Islander’s Luau did an amazing job providing a full service luau in keeping with the traditions and events one would expect from a luau in the islands. The food was delicious, plentiful, fresh and hot—since they grilled it on site. The Islander’s took care of everything... decorations, food, entertainment, DJ, set up and breakdown. Our guests loved the interactive Polynesian show. I highly recommend the palm frond weaving activity which was enjoyed by young & old alike. 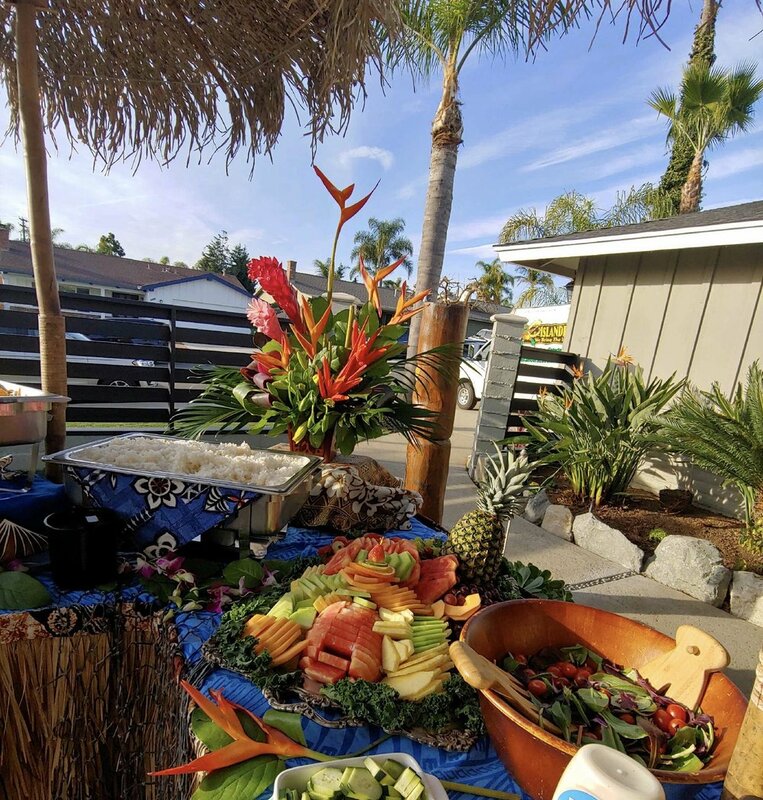 We did two different very elaborate luaus for 4 year olds this week! Maril, Thank you SO much! You and your crew were amazing. The food was delicious, fresh and plentiful. We can’t thank you enough for making our night so special. Everything far exceeded our expectations, and I left my highest review on both FB and Yelp!! I can’t tell you how many of our guests were raving about you, the food & your services. I really appreciated how responsive and timely you were to all my inquiries, messages & special requests, thank you! You put on an amazing show... Impressive fire dancing too, Maril!! The second 4 year old’s party was an over-the-top Lilo & Stitch birthday party! Not only did they hire us to cater, entertain, and decorate, but they also hired an event planner who set up several huge tents with false ceilings to look like you were in the ocean with huge fish swimming above you, and also lots of wall sized Lilo & Stitch posters, an artist who sketched caricatures of guests onto coconuts, and she brought in special guests, Lilo & Stitch. Check out the video below!